Hyaluronic Acid is an ingredient that can be beneficial to most skin types. While it may not be for everyone, you may find that this moisture-holding powerhouse is just what your skin needed. HA is a naturally occurring component of your skin, and it aides in your skins' ability to retain moisture. As we grow older, our skin wears down and there is less HA present, causing our skin to hold less moisture for shorter amounts of time. Since it can hold up to 4,000x it's weight in water, it's the perfect option for drawing moisture into your skin, and maintaining a healthy moisture barrier. 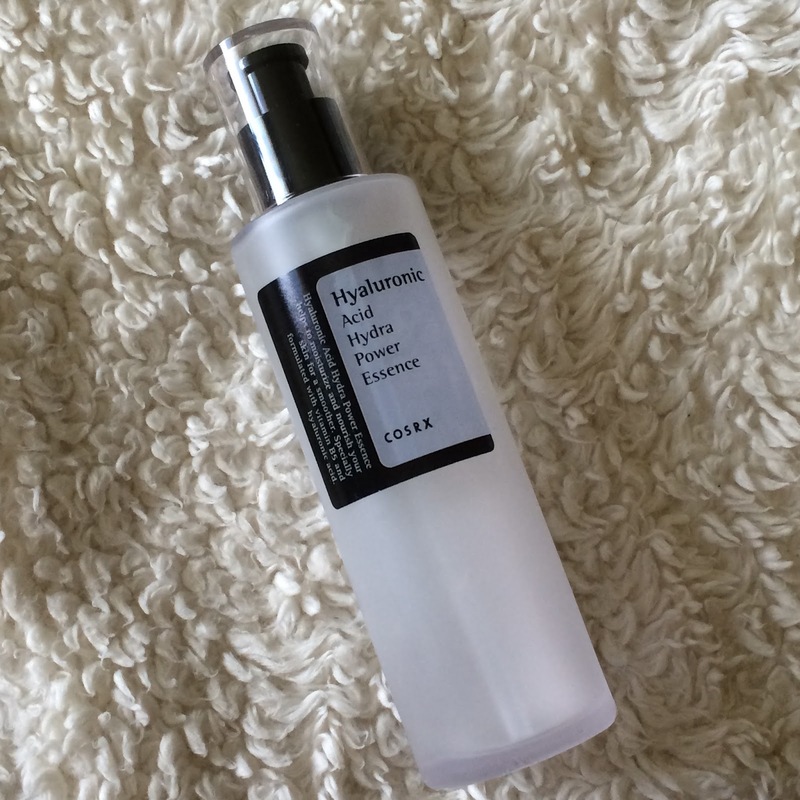 Finding a hyaluronic acid product that works for you, however, can be a daunting task. For me, Cosrx makes two options that I'm happy to call my favorites. Cosrx uses sodium hyaluronate in it's essence and cream, which is a smaller derivative of hyaluronic acid that penetrates the skin better. 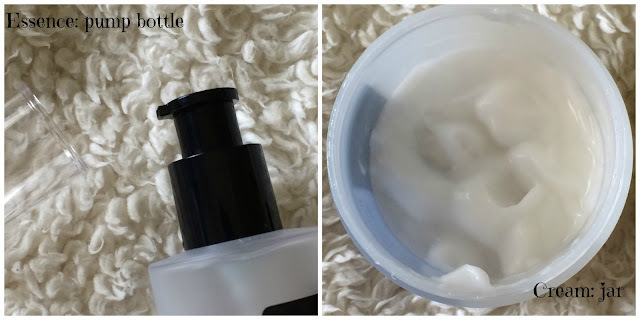 Both products are a good option for hydrating, plumping, smoothing, and repairing your skin - but being two different types of products, they each have their own unique use. 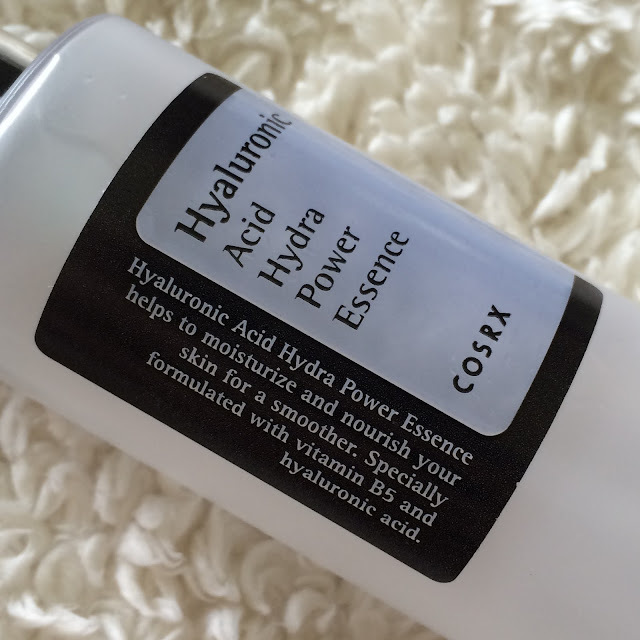 The Cosrx Hyaluronic Acid Hydra Power Essence is designed to pull moisture deep into the skin to hydrate dry skin and prevent moisture loss. This deep hydration is supposed to repair and maintain your skins moisture barrier, which keeps your skin smooth and protected. This essence also contains hippophae rhamnoides water which is supposed to keep skin calm and clear. 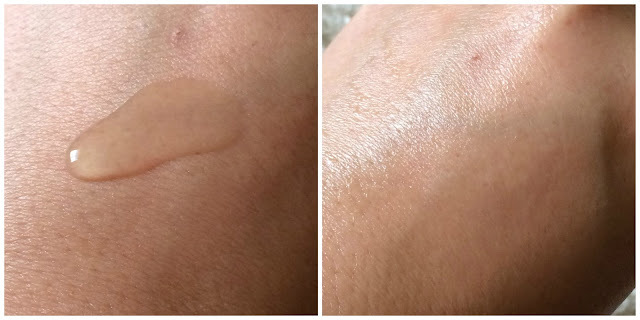 Because it pulls moisture into the skin, you will also need to remember to seal your skin with a nice cream afterwards to make sure the moisture does not leach back out. Ingredients: Hippophae Rhamnoides Water, Butylene Glycol, Glycerin, 1,2-Hexanediol, Sodium Hyaluronate, Panthenol, Ethyl Hexanediol. 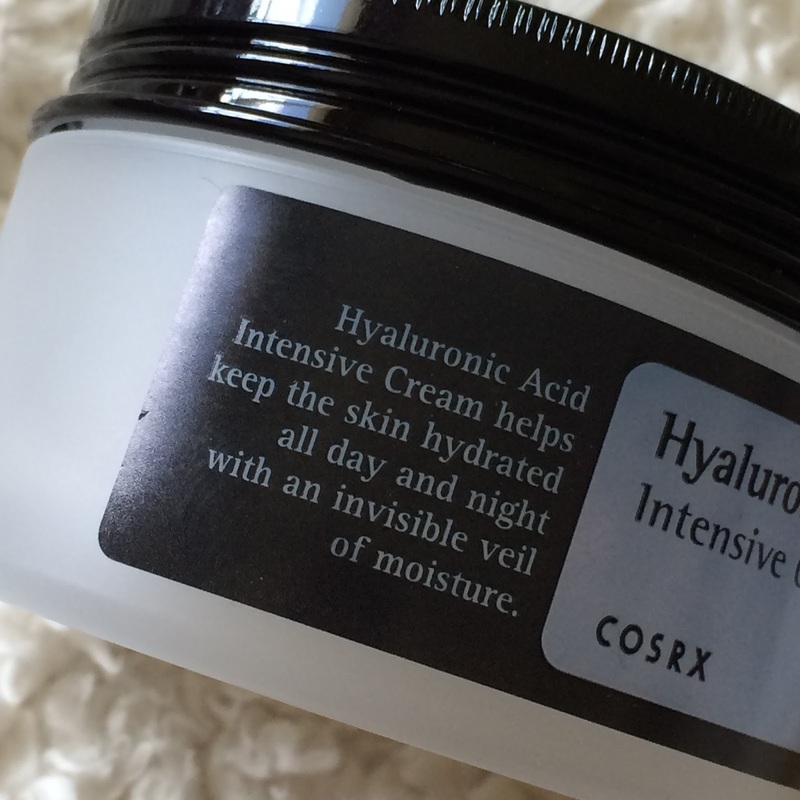 The Cosrx Hyaluronic Acid Intensive Cream is designed to deeply hydrate and help your skin retain moisture, supporting a healthy moisture barrier. This cream also contains hippophae rhamnoides water which is supposed to keep skin calm and clear. The cream allows your skin to retain more moisture on it's own. Ingredients: Hippophae Rhamnoides Water, Glycerin, Butylene Glycol, Caprylic/Capric Triglyceride, Betaine, Helianthus Annuus (Sunflower) Seed Oil, Cetearyl Alcohol, Cetearyl Olivate, Sorbitan Olivate, Macadamia Ternifolia Seed Oil, 1,2-Hexanediol, Sodium Hyaluronate, Arginine, Panthenol, Dimethicone, Ethylhexylglycerin, Carbomer, Allantoin, Xanthan Gum. Both the essence and cream have a similar scent - in which they have little to no noticeable scent... One thing I love about Cosrx, is that they are not big on adding fragrance to their products, so what you smell is naturally occurring in the products' ingredients. The essence is clear in color and is viscous, but not sticky. It absorbs into my skin quickly and leaves it feeling smooth and looking plump. There is no stickiness afterwards at all. 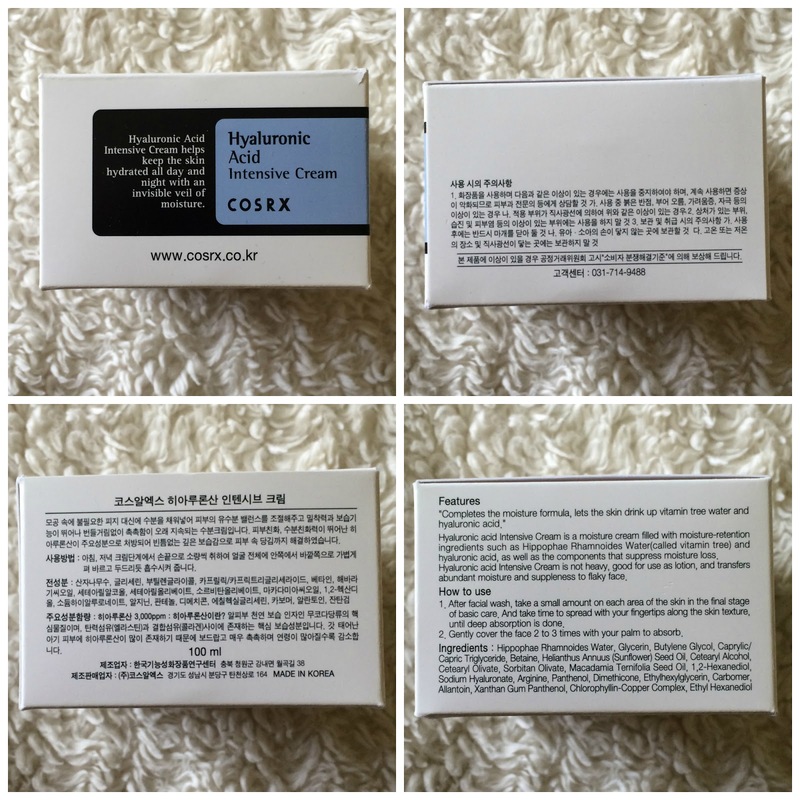 The cream is white in color and feels thick but is fairly lightweight once on the skin. It holds its form out of the jar, but is easy to spread against the warmth of my skin, and absorbs within a few seconds. 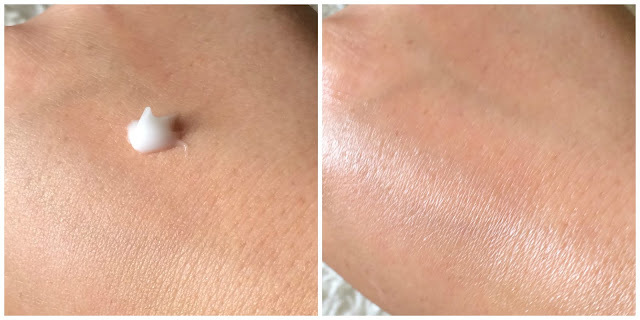 With my oily skin, it can leave a slight film if I apply too much, but if I apply just a pea-sized amount it does absorb nicely and leaves my skin soft, smooth, and plump. 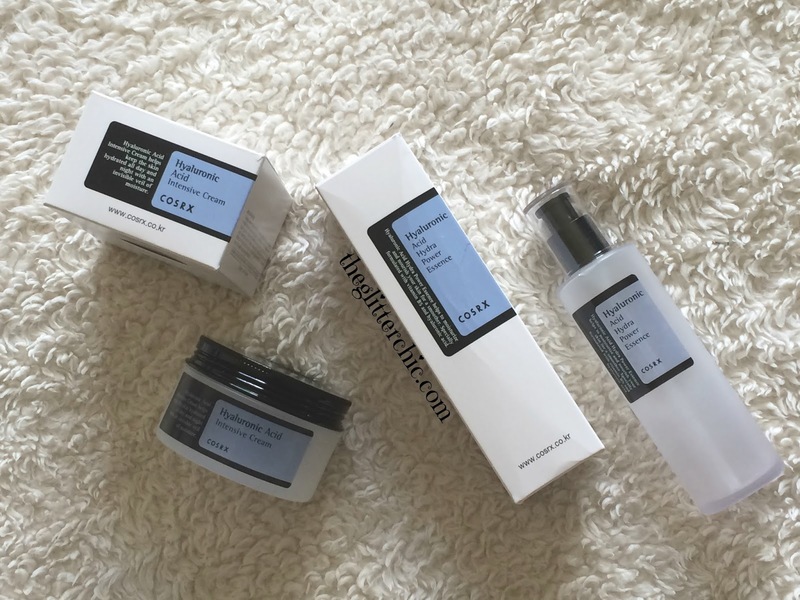 As far as performance, the HA essence I can use day and night, and when I do it improves my skins' dehydration drastically. It cuts down on how badly my skin breaks out, it eliminates the dull texture my skin can sometimes get, and it keeps my skin looking plump and more youthful. The cream I can use day or night during the winter, but only at night during the summer because my skin is so oily. When used as a sleeping pack I wake up with fine lines plumped away and my skin feeling smooth and bouncy from hydration. Honestly, they are both great products and I will continue to repurchase each of them. You can find the essence and the cream at Cupidrop (essence / cream), Jolse (essence / cream), Amazon* (essence / cream) and MelodyCosme (cream). Disclaimer: No monetary compensation was received for this post. This blog will always provide honest opinions, beliefs or experiences on products reviewed. If you have any questions, please contact me at gothickornchic at gmail dot com. This post may contain affiliate links, marked with an "*" and I may receive a small commission if you make a purchase using one of those links - which costs nothing to the consumer but does help this site. The disclosure is done in accordance with the Federal Trade Commission 10 CFR, Part 255 Guides Concerning the use of Endorsements and Testimonials in Advertising. Looks like it goes on so smooth and perfectly! 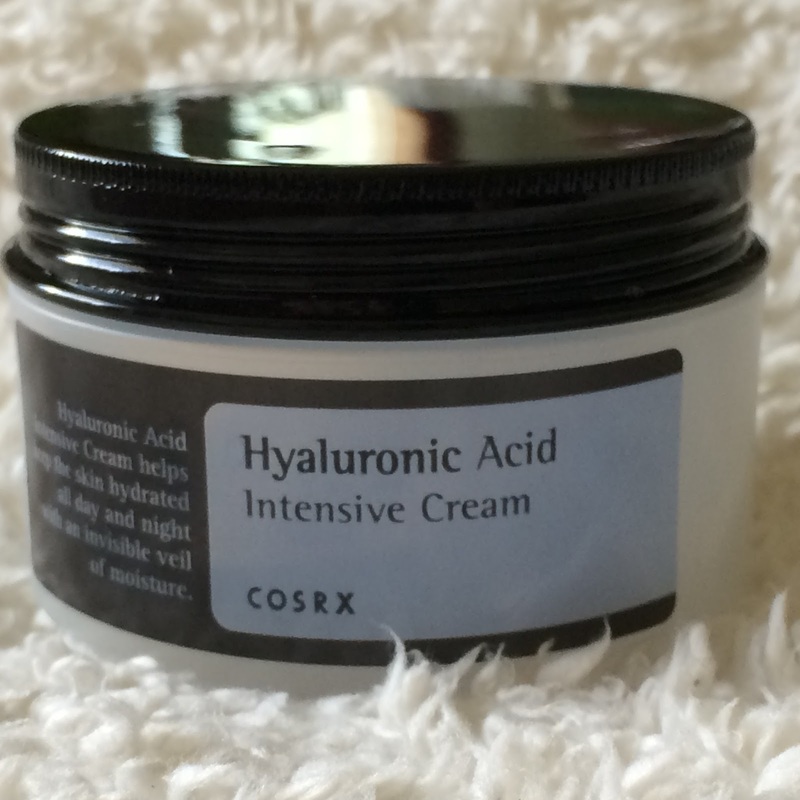 I've not heard of Hyaluronic Acid specifically, but thanks for all the info! 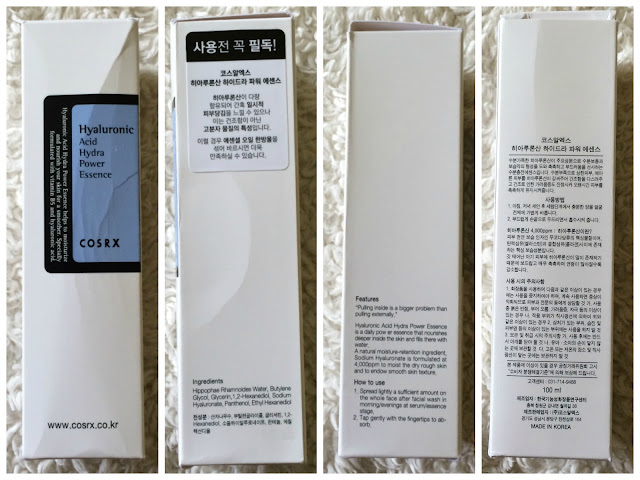 Just picked up the COSRX BHA solution for blackheads. So far so good! This 2 items look great - I love hyaluronic acid for the skin. So amazing.